It’s that time of year, where you’ll be walking in the woods or along a pond’s edge, when you come across a treasure trove of spiderwebs. Nearly every tree and shrub are dressed in gossamer woven webs of silk. The best time to find the spider’s trap is just after a spell of fog. 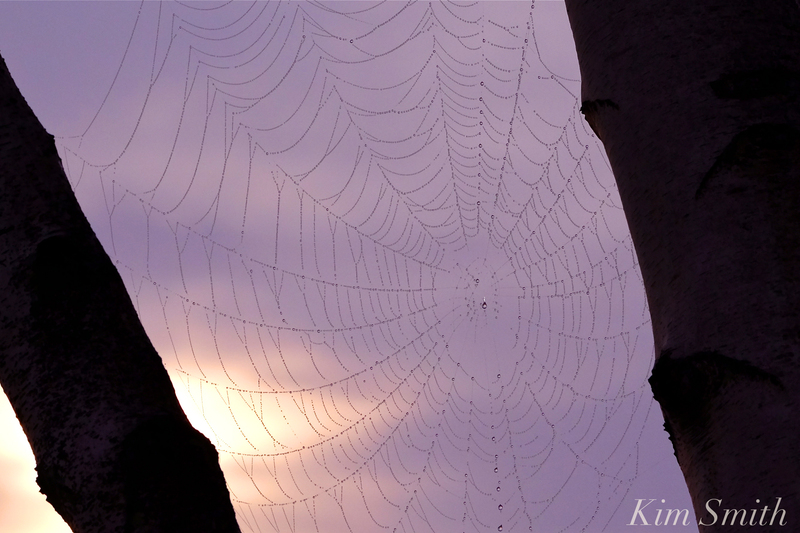 This entry was posted in Cape Ann Wildlife, Gloucester, Niles Pond and tagged Moonlit Spider’s Dew, Niles Pond birch tree, spider web on September 7, 2017 by Kim Smith.